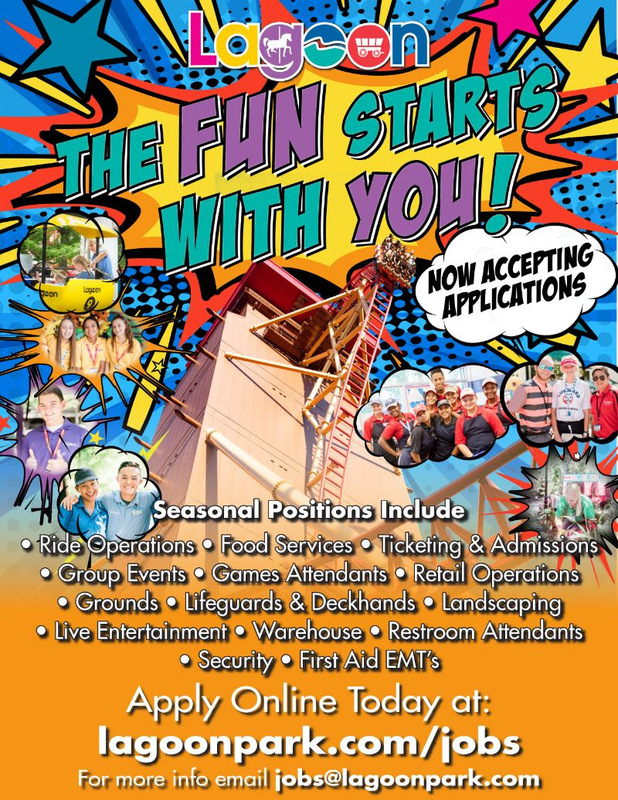 Lagoon sent out an email to Fun Time Club members stating that they are now hiring for their 2019 season! Will they hire a 10 yr old? (02-01-2019, 11:29 AM)DeLorean Wrote: Will they hire a 10 yr old? Na. 14 is the youngest but that number is usually few in numbers. Dangit! Now what is my 10 yr old going to do for money!?!?! (02-01-2019, 03:19 PM)DeLorean Wrote: Dangit! Now what is my 10 yr old going to do for money!?!?! My wife is way over protective... she got mad at me cause I let my oldest go with another one of her friends around the neighborhood with out me watching her. (02-04-2019, 12:07 AM)DeLorean Wrote: My wife is way over protective... she got mad at me cause I let my oldest go with another one of her friends around the neighborhood with out me watching her. Haha wow! Yeah, maybe not till 16. I actually got a job at Five Guys when I was 14! That was a party! Are you doing another primordial video soon?